The Minorities Affairs Committee (MAC) is a standing committee of the ASCB whose goals include fostering the professional development of scientists from underrepresented groups. One of the ways in which the MAC accomplishes this goal is by organizing and hosting summer workshops for ASCB members who are pursuing and/or aspiring to academic careers at research-intensive or teaching institutions. This year’s summer workshops were held at the Rizzo Conference Center at the University of North Carolina (UNC), Chapel Hill. One of these workshops, a three-day Career Development Workshop for Junior Faculty and Mentors, was the kick-off event for the third year of the MAC’s Faculty Research and Education Development (FRED) Mentoring Program (www.ascb.org/fred-home). 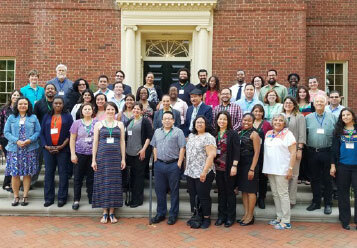 The FRED program is a structured mentorship workshop designed to promote grant funding success among junior faculty at institutions with a strong commitment to recruiting students from backgrounds underrepresented in cell biology. As part of this year-long program, each early-career scientist is paired with a senior faculty research mentor who has a strong track record of grant funding. The goal of the FRED program is for the mentee to prepare a strong research or educational grant proposal for submission to a funding agency like the National Science Foundation (NSF) or National Institutes of Health (NIH). Members of the MAC catalyze communication and interactions between mentees and their mentors. Unstructured time during the workshop allows mentees to meet their individual needs for feedback from mentors and MAC members. The 2016 cohort of mentors and mentees included scholars from a variety of institutions and with diverse research interests. More information about the FRED cohorts and their experiences in the program can be found on our website. Partially overlapping with the FRED workshop is the second summer workshop organized by the MAC—the Annual Junior Faculty and Postdoctoral Fellows Career Development Workshop (www.ascb.org/macjrfacultyworkshop). Now in its 11th year, this workshop explores a variety of topics essential to a successful academic career, including mentorship, lab management, getting published, and securing tenure. Sessions on grant opportunities from the NIH and NSF are also part of the three-day program. Workshop participants from this year’s cohort valued the opportunity to learn new skills and information and cited the opportunities for networking as one of the most valuable elements of the program. 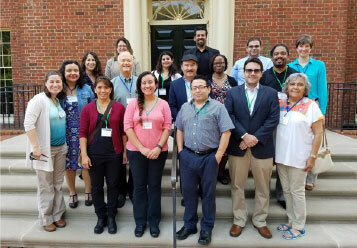 The highlight of this year’s program was that it drew panelists and speakers from local research-intensive and teaching-intensive institutions, tapping into the area’s resources, expertise, and underrepresented minority scientists. Local institutions represented included Duke University, UNC Chapel Hill, North Carolina State University, and High Point University. Panelists and speakers included high-profile scientists like HHMI investigator Erich D. Jarvis, recipient of the 2015 E.E. Just Lecture Award from ASCB. The MAC is looking forward to next year’s workshop series and has already started to evaluate which workshop elements worked best and would be most useful for incorporation into future programming.